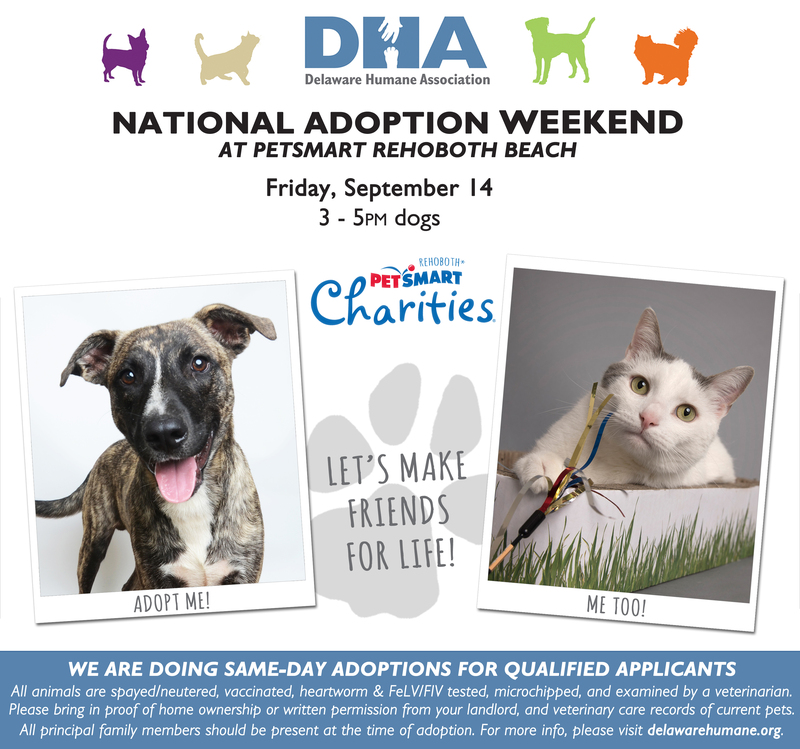 DHA will be participating in the next PetSmart Charities National Adoption Weekend by holding a Dog Adoption Event at PetSmart in Rehoboth Beach, DE! 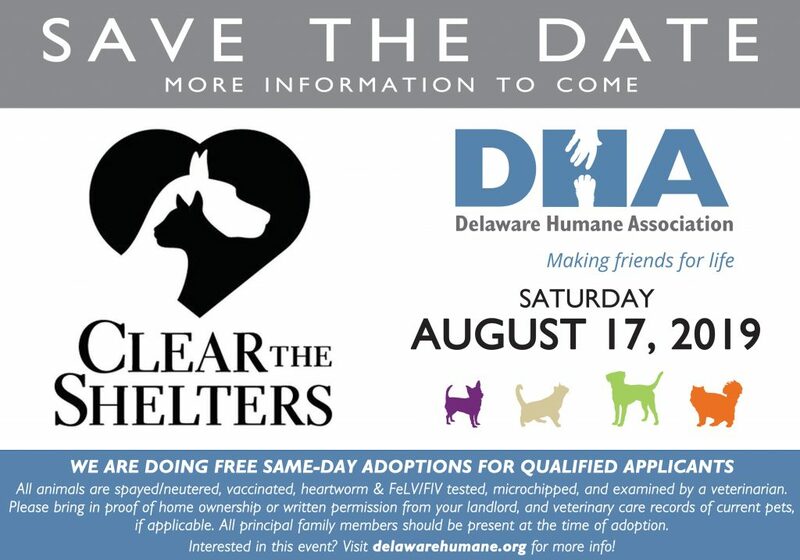 Stop by to meet some of our adorable, adoptable pets… who knows, you might just make a friend for life! 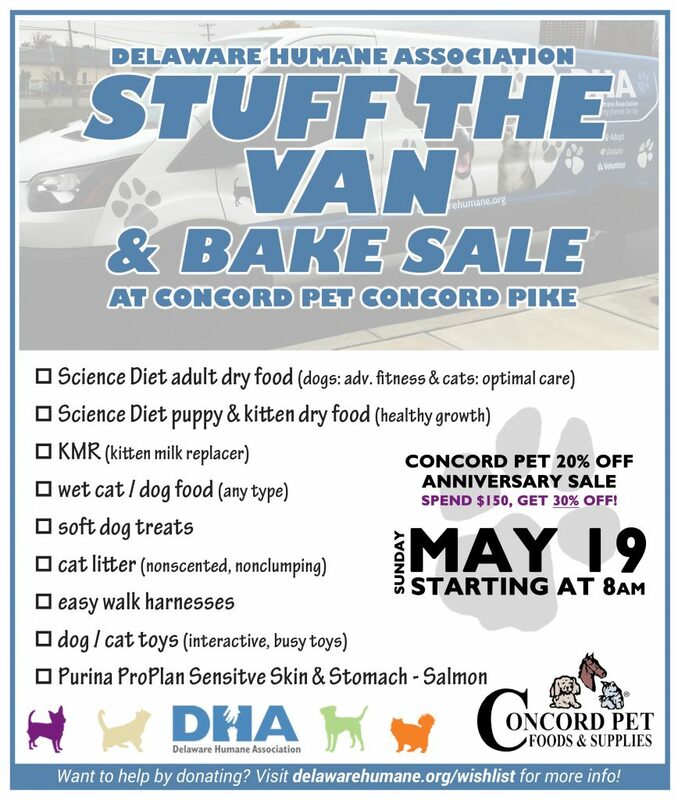 Same day adoptions of cats and dogs are available for qualified applicants. 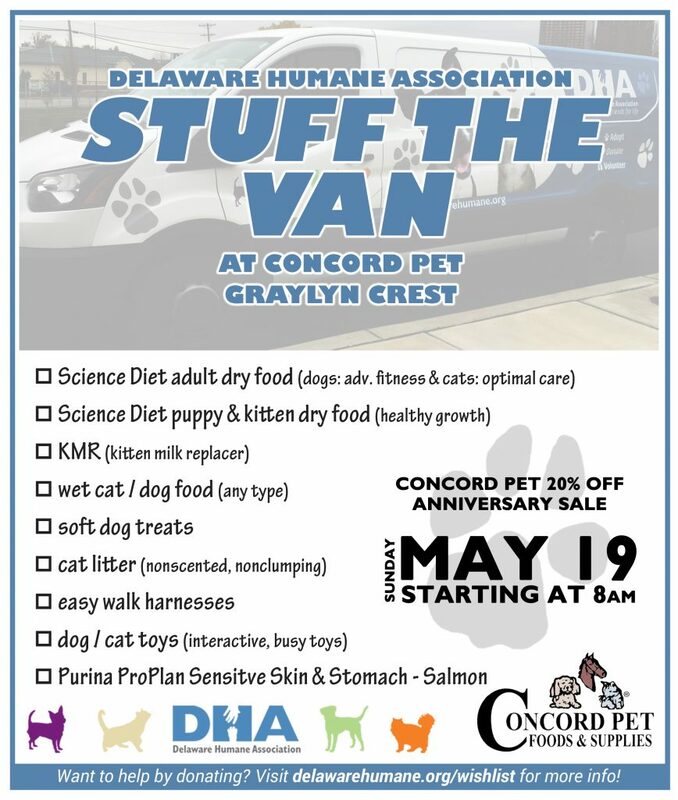 Applicants wishing to complete their adoption at the store should bring in proof of home ownership or written permission from your landlord, and veterinary care records of current pets.